“Now you can see the foils emerging,” says Audun Yrke, Wavefoil’s technical director. He points to two foils that unfold from the bow of the yellow and white ship model. In the water of Trondheim’s ship model tank, the white wings look both small and insignificant, but the eye can be deceived. We have known for more than 150 years that placing a wing – or a foil – at the bow of a ship may be advantageous. It both reduces the ship’s energy consumption and provides increased comfort for passengers on board, but so far no one has managed to put this knowledge into practice. Now the start-up company Wavefoil is doing just that. In March of this year it was decided that the company that operates the popular 1200-kilometre long coastal route, Hurtigruten, will no longer have a monopoly on the coastal route between Bergen and Kirkenes. Starting in 2021, Hurtigruten will be joined by Havila Kystruten, which is building four new environmentally friendly ships for the route. Wavefoil immediately took advantage of this opportunity. “We contacted Havyard Group, which is designing the new boats, to hear if they would be interested in using our technology in their new vessels. They thought that sounded interesting and sent us the drawings of the new ships,” says Wavefoil CEO Eirik Bøckmann. The last six months have seen rapid progress. This summer, Havila and SINTEF Ocean tested the hulls of the new vessels in the ship model basin in Trondheim. The model ship has two foils on the bow. The final results of the testing are still being finalized. “The results look promising and are in line with our expectations. We’re expecting to achieve an average fuel savings of four to five per cent on the Bergen-Kirkenes route. We’ll hit at least four per cent,” says Bøckmann. He adds that it’s possible to achieve greater savings with larger foils, but the design of the planned hulls doesn’t allow for that. “Another great advantage of the foils is that they dampen the pitch motion (up and down movement of bow and stern), which will increase the comfort on board the cruise ships out at sea. Comfort is key for passengers on the coastal route, and this factor can also contribute to increased bookings,” he said. The entrepreneur acknowledges that it would be great if the company’s first delivery were to a Norwegian coastal cruise ship, because the route is well known internationally. “That would be fantastic for us,” he says. The story of Wavefoil started eight years ago, when Bøckmann began studying how a wave foil on ships could reduce fuel consumption. In 2015, he completed his PhD on the subject and transferred to a postdoctoral position at NTNU. There he met master’s student Audun Yrke, who developed the technical solution for how to include the foils as part of the ship’s hull. “The design is based on the wings being folded vertically into the bow. They’re installed on a track system. When the foils fold out, they turn and lock into the correct position,” Yrke says. Together, Yrke and Bøckmann created the company Wavefoil, and the investment company CoFounder joined them in the venture. Many model trials have shown that the design works in practice and that it is possible to achieve energy savings of up to 20 per cent. Savings have to be calculated for each ship and depend on multiple factors, including the vessel’s length, width, draught, travel area, operating profile and type of operations. Wavefoil has calculated that the foils will need to be able to withstand up to six meters of significant wave height. Above that height, the foils will retract. On a flat sea, the foils aren’t needed. The bow foil itself is made of a special type of fibreglass, which is stronger than normal fibreglass, but still somewhat flexible. Bøckmann says the technology can work on any type and size of vessel, but that the design is most pertinent for medium-sized passenger and cruise ships, fishing vessels and ferries in exposed waters. “Our goal is for all new passenger ships to have our foil module installed in five years,” he says. The new company has received support from numerous sources, including the Research Council of Norway, Innovation Norway and NTNU Discovery. Now Wavefoil is ready to produce its first full-scale unit at Delprodukt AS in the town of Kvål in Trøndelag county. “We’re planning to start production in September. Initially, it will be a small full-scale unit that is 3.5 metres high. This is a suitable size for a ship of about 40 metres,” says Bøckmann. Now Wavefoil is hiring more employees. “We’ve brought on Erlend Vastveit, who is reviewing all our production drawings. The new hires will help us intensify the quality of our development efforts and minimize the number of dead ends,” says Yrke. The Wavefoil founders are putting a lot of effort into funding their company. Now Wavefoil is working to recruit ordinary people to invest in their effort. On 24 August, the company kicked off its funding campaign at NTNU Accel, an accelerator for knowledge-based start-ups. Shares were opened up to investors through the crowdfunding platform Folkeinvest, a web platform designed precisely for start-ups to be able to raise capital from smaller investors. Bøckmann and his colleagues set the minimum investment amount to just NOK 1100, or roughly EUR 113, to allow as many people as possible to participate in the campaign. “We’re hoping to raise between NOK 2 and 4 million this way, and that a lot of people can see themselves investing in technology for more environmentally friendly shipping,” says Bøckmann. The Norwegian public appears to have embraced the idea, if the funding campaign is any indication. A week after the campaign was begun, the company had already raised NOK 3.9 million from 184 investors. 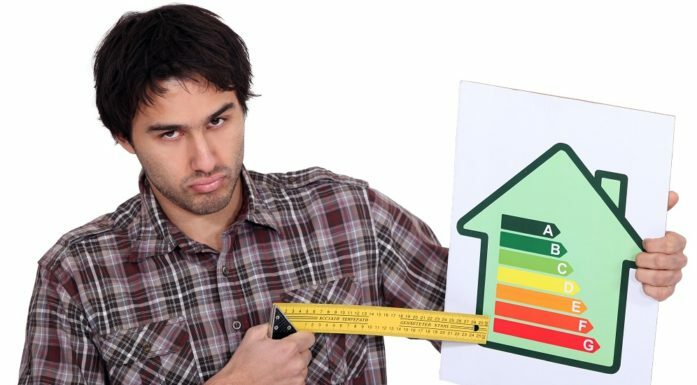 How energy efficient your home is means nothing on the day you sell it.